Register for our free webinar on TCN’s BI analytics, October 22, at Noon MDT. Gaining better insight into your call center data is critical for improving productivity, streamlining operations and moving your business forward. But gathering and analyzing that data can often be an overwhelming, time-consuming task for contact center managers. Business intelligence (BI) tools are making deeper data dives a little bit easier, however. 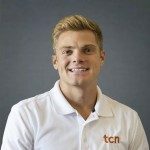 With native BI capabilities, TCN’s call center technology provides direct access to your business’s data and presents it in a way that’s easy to understand and explore. Through metrics, charts and graphs, users can easily measure, compare, prescribe and predict call center performance. With this advanced insight, you can better manage agents, add agent scoring and additional agent-by-agent ROI insights that other call center products don’t offer without having to export data to a third-party program – all while saving valuable time. Attendees will also learn how to best leverage TCN’s BI analytics and the role they can play, as well as the differences between the Standard and Professional versions. As an added bonus, webinar attendees will receive 20% off the first month of TCN’s Professional Business Intelligence reporting. Reserve your space now. Register for our free webinar on TCN’s BI analytics, October 22, at Noon MDT.